Fall may be just beginning, but it’s already brought cooler temperatures and a lot of rain to Austin over the past couple of weeks. 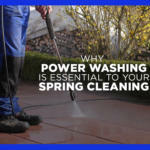 Although Austinites – and our lawns – have welcomed the break from the sweltering heat, the fall rain can bring with it conditions that make it more difficult to keep your home clean. 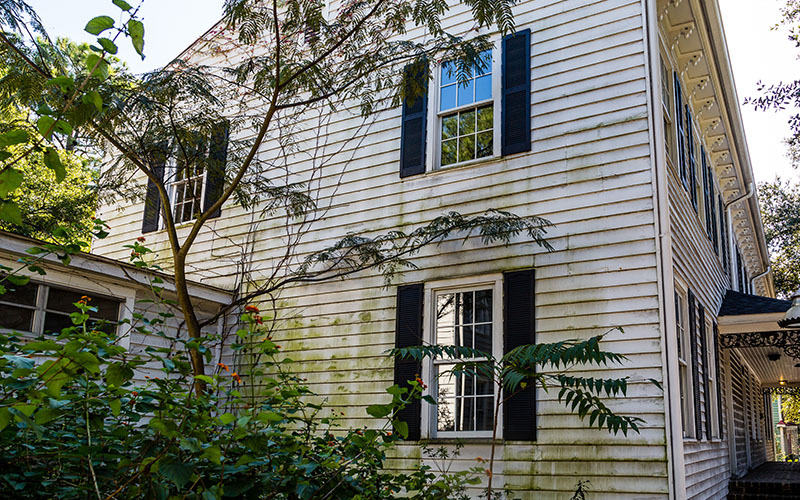 With damp weather, less sunlight, and decaying leaves, fall actually provides an ideal environment for mold and mildew to breed on outdoor surfaces. 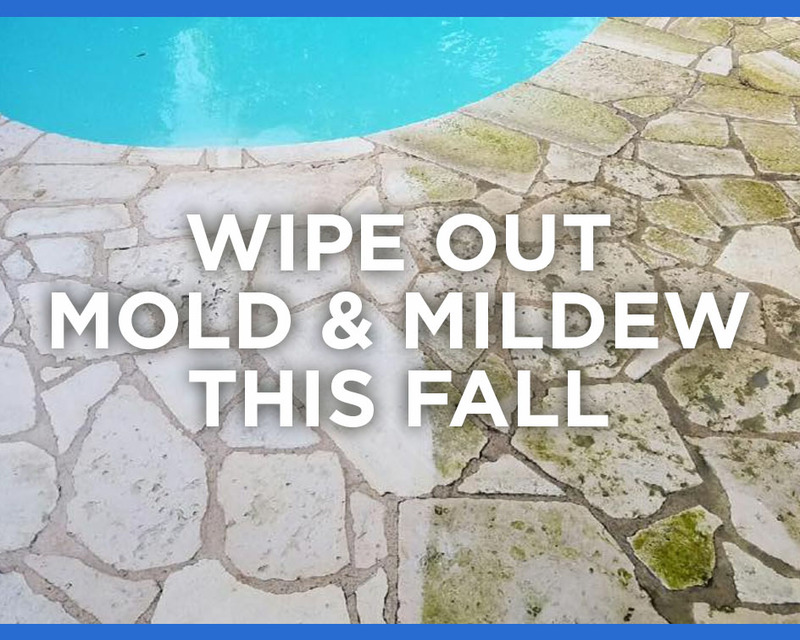 No outdoor space is safe from the menace of mold and mildew; your deck, awnings, concrete pool area, patio cushions, and brick and concrete surfaces are all susceptible to fungus when it’s continually damp and cool. And not only do mold and mildew look gross, but they can also damage fabrics, surfaces, and even pose a health hazard. What’s worse, mold is so resilient that you usually need the help of a professional to eradicate the problem. As the dew dries and the weather gets crisper, it’s the perfect time to protect your property from fungus and make sure your home is clean and safe for your family this winter. Read on to learn some background on what exactly mold and mildew are, how to spot them, and how Westlake H&CS Austin can easily and quickly help you get rid of them. How Do I Know If I Have a Mold and Mildew Problem? 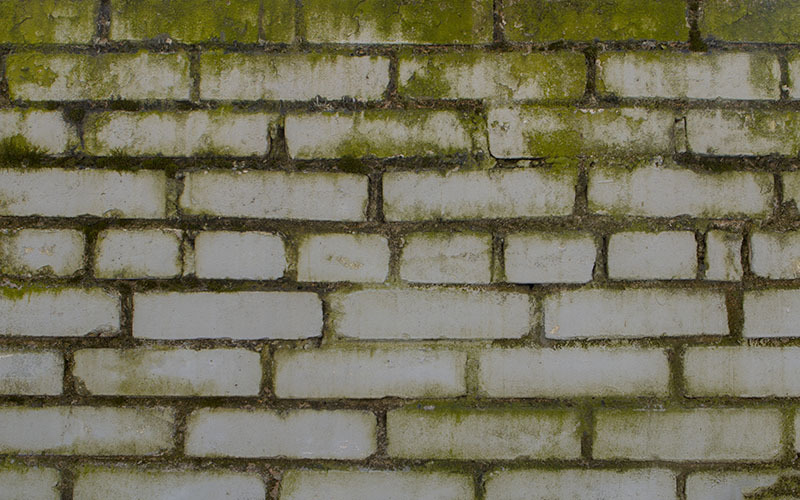 Mold and mildew are terms used to describe the growth of fungus on exteriors. 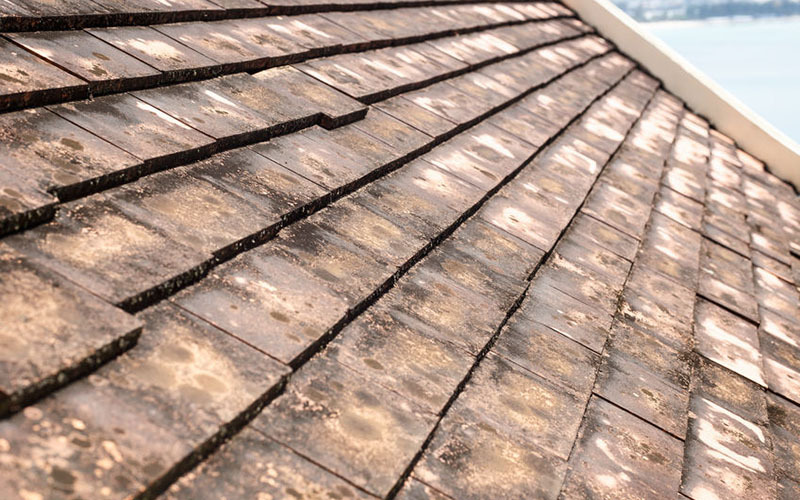 Mildew stays on the surface and can be identified as a patch of grayish or whitish fungus that grows on a moist area, and can usually be scrubbed away with store-bought cleaner. Mold, however, can be black or green and is usually a sign of a larger infestation. Mold usually requires the intervention of a professional. Besides visually spotting mold on a surface, its smell could also tip you off that there’s a problem. As it grows and multiplies, the microbial volatile organic compounds that mold releases as it eats release an earthy, musty smell. 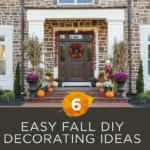 Why Fungus is No Fun When It Comes To Your Home? Mold and mildew not only look bad, but they can also actually damage fabrics and wear away at outdoor surfaces. Heavy growth can break down surfaces and damage your furniture and your exterior’s aesthetic appeal. Mold also destroys painted surfaces, which means all of your house’s walls are at risk. As is your roof – mold will eat away at the limestone filler that is used in asphalt shingles. Mold and mildew also make surfaces slick and slimy, so they present a safety issue for walking as well. And even if you get past the treacherous walkways, the mold on sidewalks and driveways is easily tracked into your home on feet and shoes. According to the Environmental Protection Agency, mold produces allergens that irritate individuals and can cause rashes, headaches, sneezing, respiratory problems and fever-like symptoms. Mold allergies are especially bad from late summer through the fall. Unlike allergens like pollen, molds are resilient to frost and can survive in both warmth and cold. Mold and mildew, then, are problems you should eradicate from your home as soon as they present themselves. Your first instinct may be to reach for the bottle of bleach, but bleach does not work to get rid of mold and may even make the problem worse. It can also be dangerous and create toxic fumes if you mix it with other household cleaning products. At Westlake H&CS Austin, we know exactly how to handle mold and mildew. First, we use steam and a soft washing technique to clean the surface. We then treat all affected surfaces with mildewcide to prevent future growth. Finally, we use a seal to prolong cleanliness. Our methods are effective and completely safe. Our team uses an environmentally-friendly solution that’s totally green, yet powerful. The non-toxic solution we use causes absolutely no harm to the environment and is safe for children, pets, plants, trees, and grass. Plus, our proprietary eco-friendly solution kills mold spores once and for all, so you don’t have to worry about mold growing back. 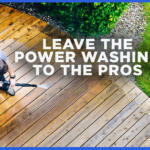 There are also a couple of steps you can take on your own in order to prevent the growth of mold and mildew on outdoor surfaces in the first place. Rake your yard often and dispose of leaves and trimmings promptly in closed bins, then empty the bins frequently. If you compost, do so far away from the house. 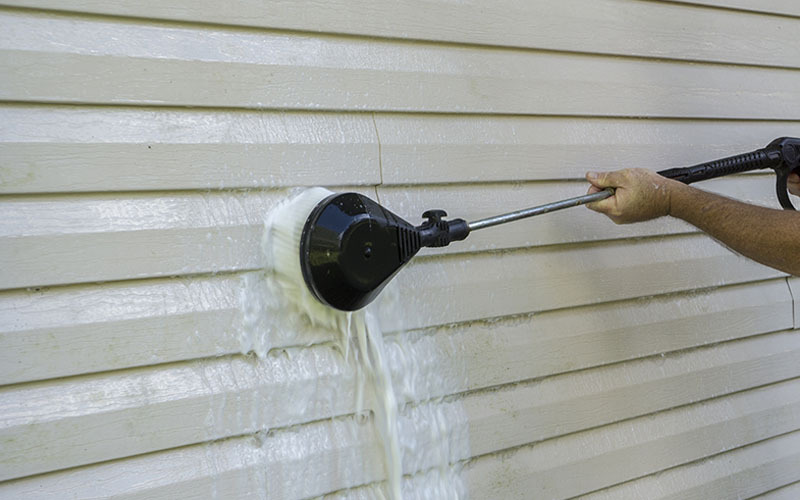 Whether you’re suffering from allergies or are unsure of how to deal with the mold and mildew taking over your outdoor surfaces, Westlake H&CS is here to help. If you see any sign of mold or mildew, give us a call at 512-280-1649 or click the button below get a free estimate. Getting rid of mold and mildew can be risky to yourself and your property if not done correctly. 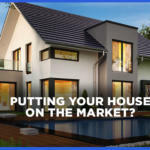 Let our Austin professionals ensure your family has a clean and healthy home.